Evocative of Alice in Wonderland, this novel from New York Times bestselling author Lauren Oliver is a bewitching story about the reaches of loyalty and the enduring power of hope. 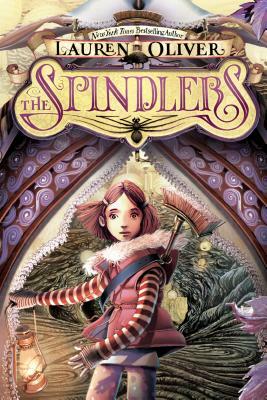 Perfect for fans of the author’s other middle grade novels: Liesl & Po and the Curiosity House series. Looking across the breakfast table one morning, twelve-year-old Liza feels dread wash over her. Although her younger brother, Patrick, appears the same, Liza knows that he is actually quite different. She is certain that the spindlers—evil, spiderlike beings—came during the night and stole his soul. And Liza is also certain that she is the only one who can rescue him. Armed with little more than her wits and a huge talking rat for a guide, Liza descends into the dark and ominous underground to save Patrick's soul. Her quest is far from easy: she must brave tree-snakes, the Court of Stones, and shape-shifting scawgs before facing her greatest challenge in the spindlers' lair, where more than just Patrick's soul is at stake.